For the causal observer, Germany has a lot going for it: High wages, low unemployment and above average life expectancy. The foods good, the weather nice and beer prices low. However, don't be fooled. Germany also has its fair share of dangers; the Autobahn, Chinese food, Schlager music, Rudi Voller, drawing Italy in a major tournament, bad pretzels and Dutch caravans are rightly feared across the Federal Republic. Despite the inherent terror of these examples, there is one thing that the expat living in Germany should truly fear, but is rarely warned about. Whether in the office, at home or commuting to work, we are surrounded by something so malicious, so deadly, its mere presence can make men and women alike cry out in anguished horror. Beware my friends, should you hear the call “Es Zieht” for it may be the last thing you ever hear. “Es Zeiht”, for the uninitiated, simply means “it's draughty”. On the face of it, having a bit of a draught might seem the least of anyone's problems and to some it might even be considered a blessing during the hot summer months. However, in Germany the term is the equivalent of a battle cry, picked up by all that hear it. It generally denotes that some foolhardy person has attempted to let air into a room or even worse into a moving vehicle. Having suffered the backlash and possible cold shoulder (pun intended) from friends, colleagues and bystanders, the perpetrator might inquire; what is so wrong with a light breeze? The answer, everything. I have been told at various times that cold draughts could lead to flu, pneumonia, sore neck, rheumatism, muscle spasm and death of all we hold dear. Should anyone challenge this fact or glean some evidence or empirical data to support this universal belief, you will be gawked at as if you suggested the earth is flat or that David Hasslehoff isn't the greatest recording artist of the 20th century. The facts are plain as day, although you can't see them. It's a close as anyone will get to living inside a Daily Mail health article. Of course, like a Daily Mail article, the rules governing the German fear of draughts is entirely irrational. For a start, there are some draughts that are acceptable, such as those to remove the “Schlechte Luft” or “bad air” from houses and flats. During winter months, it is not unusual to arrive home to my wife opening all the windows, despite the obvious problem of it being minus five. Sleeping with the windows open is also acceptable, again even in the winter months. Your colleagues might periodically open all the windows in the office, despite the cold. Even though the phrase “Liebe ersticht als erforen” (better to suffocate than freeze) being common, apparently for some reason, cold static air is OK and warm moving air is not. Come the summer months, obvious difficulties occur. The ubahn (metro, subway) is the biggest problem. If you ever fancy pushing the average German to the limits, start opening windows on the train and watch the carriage descend into synchronised nervous ticks. Some will passive aggressively stare you down or tut, that's not problem for me though. The British built an empire on passive aggression and a well directed tutting. Others might ask you to close it, in which case I go full Hugh Grant and “erm” and “err” my way through a rudimentary German sentence until they are either incredibly charmed or sick of trying. The worst will attempt to shut it themselves, which is when you start throwing around some nervous ticks of your own and maybe some wild eyes for good measure. That and the window opening is usually enough to convince people you're a little touched. Temporary madness aside, there may be many sensible reasons why Germans have a thing about draughts. Some point to it being a ventilation issue, others surmise it's a general hangover of the middle ages and some even suggest it is a European wide issue. I however have optioned for a more obvious answer: scarf manufacturers. It's easy to sell scarfs in winter, people want them, it's cold after all. In summer though, scarf manufactures have a seasonal hole in their incomes. Answer: summer scarfs. This of course explains why Germany is awash in scarfs, even in the hottest of weather. Open the window in the car, summer scarf. Air con too cold, summer scarf. Summer scarf too cold, get another scarf. It's obvious! So my friends, be aware. 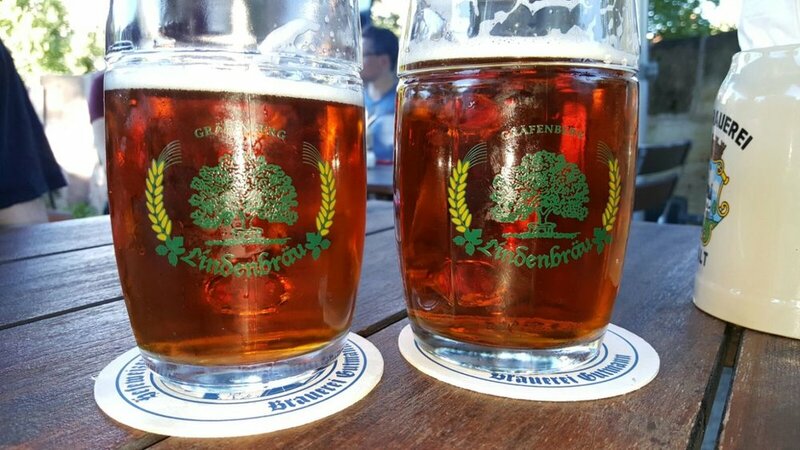 Should you venture to Germany to enjoy the beer gardens or the BBQs always be ready to justify the draught and for the love of god, don't forget your summer scarf!